UBT and the Franco-Albanian Friendship Association have organized the Balkan Conference on University and Media Cooperation in Kosovo, in which journalists and experts from Kosovo and France have given their opinions on the development of new media and also the transformation and adaptation of the media new in the digital era. 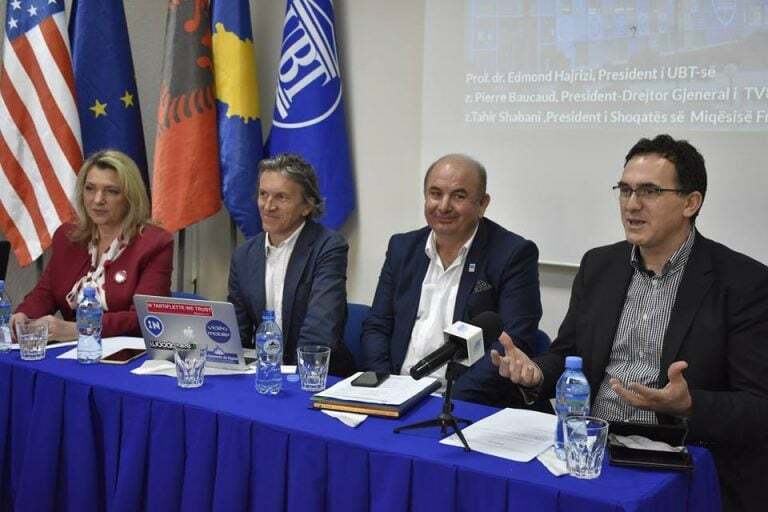 The Rector of UBT, prof. dr Edmond Hajrizi said that the Franco-Albanian Friendship Association is making a great contribution in establishing bridges of cooperation between Kosovo and France, adding that this cooperation is showing the effects especially in the field of education. “Due to the fact that our society is undergoing into a process of multifaceted transformation, it’s not easy for those who are working in the media sector. Media is of significant importance and plays a key role in education of the society, owing to the fact that the majority of citizens lack access to the authentic information.” – underlined Hajrizi. 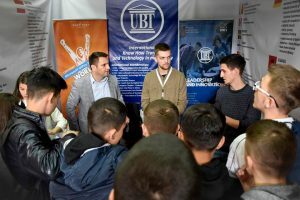 The deputy minister of Culture, Youth and Sports, Burbuqe Bakija Deva evaluated the role of UBT in aiding the country particularly in the process of internationalization, and according to her, this conference, which is a result of a cooperation, is of special importance. “Today the world and the media are undergoing transformation through a process called globalization, so we must learn to think globally to act locally.” – she said. The general director of TV 8 MONT BLANC from France, Pierre Baucaund claimed that the technology transformation is something phenomenal that has happened, since today digital information has affected the whole world. “It’s important that today everything is being transformed, including the global media, this process has helped social networks, especially Facebook, which has more than two billion active users in the world” – he explained. 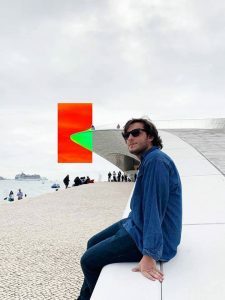 According to Baucaund the social media and smart phones have widely transformed the ways of informing, even though, he thinks that written media cannot lose their value. President of the Franko-Albanian Friendship Association, Tahir Shabani discussed with the participants on the possibility of expanding cooperation between educational institutions and the media, by carrying out joint activities in the near future. “We will continue to support and broaden the collaborations in different fields.” – declared Shabani. The conference was concluded with an open discussion with the present students and experts, addressing the issue of local and national frequencies in Kosovo and France, possible forms for legal regulation of portals, the way how French media reported on events that took place in Kosovo, but also for the possibility of studying for journalism in French universities.